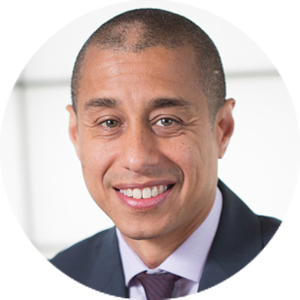 Jair Lynch is the President of LOCUS, a national coalition of real estate developers and investors who advocate for sustainable, equitable, walkable development in America’s metropolitan areas. Jair has more than 20 years of experience in public and private real estate as an investor and advisor, including projects in the Silicon Valley and Washington, DC. As President and CEO of Jair Lynch Real Estate Partners, Jair assumes primary responsibility for firm management and project coordination, and is committed to developing a quality product and superior service. That commitment has produced distinctive urban mixed- use projects for investors and a distinguished list of public, private and non-profit clients. Since founding the firm in 1998, he has completed more than 65 projects totaling 4.3 million square feet of development in DC, with an additional 1.8 million square feet in his development pipeline. These include urban infill residential, commercial, retail and institutional projects involving new construction, renovation, historic preservation and mixed-use development programs, and the first LEED Gold and Silver certified public buildings in DC. He is a driving force for urban regeneration, working in walkable urban places to empower people, develop place and create prosperity. In addition to serving on the ICIC board, Jair serves on Washington DC’s Federal City Council and the board of Trustees at the Sidwell Friends School. Previously Jair served on the United States Olympic Committee, Stanford University’s Athletic Board and was a two-time member of the United States Olympic Team in gymnastics. Jair holds Bachelor degrees in Civil Engineering and Urban Design from Stanford University and is a John L. Loeb Fellow from Harvard University’s Graduate School of Design. Jair can be reached at jlynch [at] locusdevelopers [dot] org.